Custom one piece design provides the industries smallest size cigarette adapter. Built for easy storage when traveling. 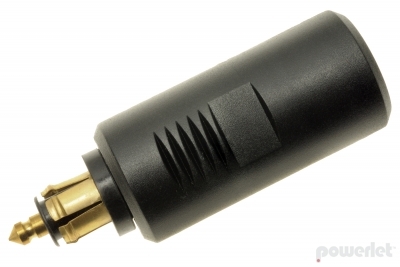 Maintains the high power (15A rating) of the larger adapters. Compatible adapter for BMW, Triumph, Ducati, KTM and other vehicle manufactures.